Brian Hogan, 22, has been charged with one count of misappropriating lost property for selling the phone to tech site Gizmodo after finding it in a German-themed bar and restaurant in Redwood City last spring. An associate of Hogan’s, 28-year-old Sage Wallower, has been hit with the same charge plus one count of possessing stolen property. Isn’t it amazing what you can find in a bar? Aside from beer, how about an iPhone 4 prototype enclosed inside an iPhone 3GS case? That’s what Gizmodo purchased, and revealed to the world in one of the most talked about tech stories of the decade. 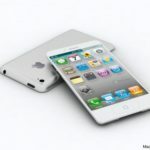 It was significant because it embarrassed Apple, known for their secrecy, to let a prototype ‘escape’ into the wild. Gizmodo reports their team has been freed of any wrong doing and not charged with crimes. Editor Jason Chen had it the worst when his house was raided by police during the height of the SNAFU. 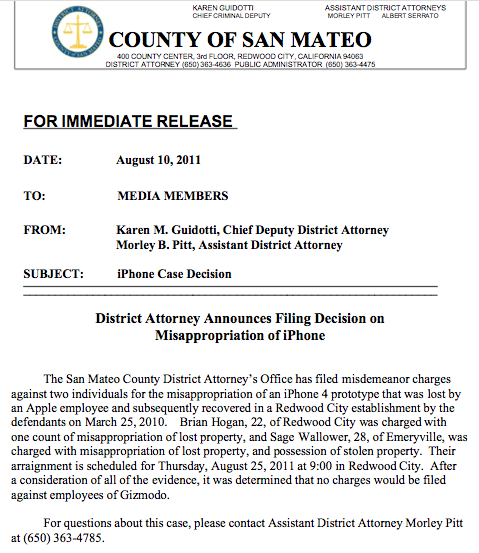 Ever since Gizmodo broke the story on the iPhone 4, they have been blacklisted from getting press access to Apple products and events. Was it worth it?